The Five Year package is one coat of Ceramic Pro 9H and one coat of Ceramic Pro Light. Ceramic Pro Light gives you all the wonderful self-cleaning benefits because it’s super hydrophobic. Those coatings are warrantied on the paint for five years against things like environmental damage, bug guts, scratches, and swirling. When our customer does a five year package, we offer a very discounted rate to coat all of the glass with Ceramic Pro Rain. At St. Louis Auto Detail, we believe in giving our customers the options that let them customize their vehicle to whatever standard they want. If you want a full, Lifetime Package with a full car’s worth of clear bra, you can get int and rest assured that you have the absolute best protection from rock chips, environmental damage, scratches, and so on. But not every vehicle needs that level of protection. The Five Year Package is great because it works with people who don’t expect to own their car forever. 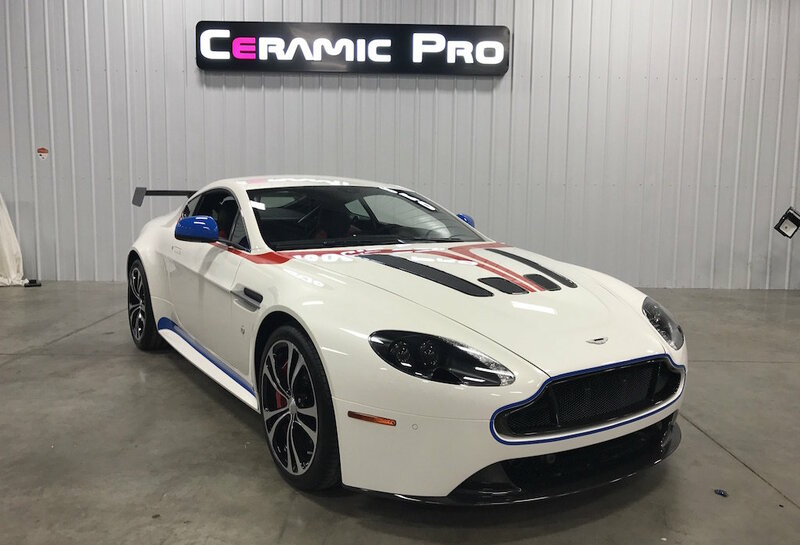 It’s a great option for people who know they want a vinyl wrap and want to give that vinyl wrap a little bit of extra protection, but also want to be able to resell their vehicle at factory original paint. The Five Year Package still has the tough, Ceramic Pro 9H layer and the top coat of Ceramic Pro Light. That gives you all the self-cleaning effects and added UV protection to keep your vinyl looking better longer.